I recently came across a blog post titled Income Inequality, As Seen From Space which explores the idea that communities with more trees are wealthier. The post has stark examples of this tree theory in action from Boston to Rio de Janerio. It’s amazingly apparent that yes, poor places do have less tress than rich places. This interests me because it’s one of those small things that can make a big impact in immersion in games. If you’re in a game and being told that you’re in a poor area but luxury cars are packed in long driveways then the atmosphere of the experience will be out of whack. Does the same hold true for trees? Regardless, I will now tell students to pay attention to trees when they are designing cityscapes because it evidently makes sense to. Trees can help contrast rich areas of a game from poorer areas in a subtle way..
At least that’s true in other cities. Here in Toronto I don’t find the differences to be as glaring. First here’s Houston from the post mentioned above and just be looking at it we can tell which is the wealthier neighbourhood. On to Toronto we won’t see such a large difference. First I used the joint-research done by a few organizations called The Three Cities Within Toronto to find the richest and poorest neighbourhoods. Basically, the suburbs are poor and places with good public transit and urban planning are rich. What I find interesting is that the above two images show that there are trees and there are parks nearby. The likely representation of poverty isn’t so much the trees then but the layout of streets and the zoning that is blatantly apparent. Retail and jobs go one place and residents another. There is also a clear division between these areas thanks to car-dominated travel routes. 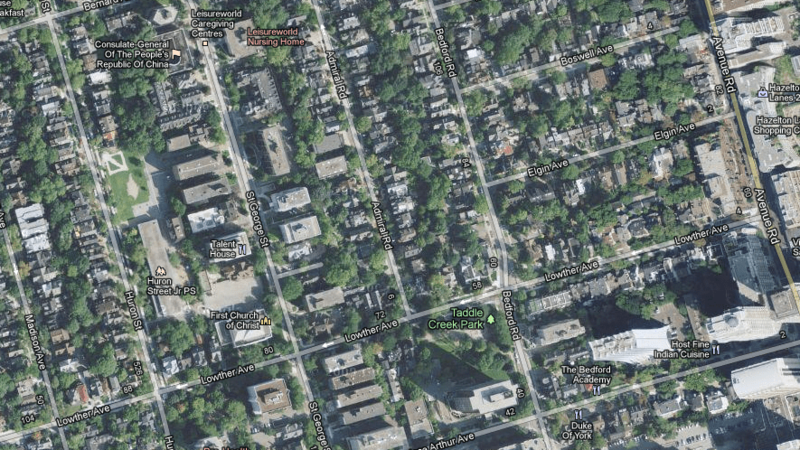 In this last image one can hardly see there is more mixed use in a smaller land area than the other two images. Trees are also a lot older in this area and thus the canopies are bigger than in the suburbs. This leaves me wondering that tree density can convey more than poor areas, it can be used to distinguish between old and new parts of a city. 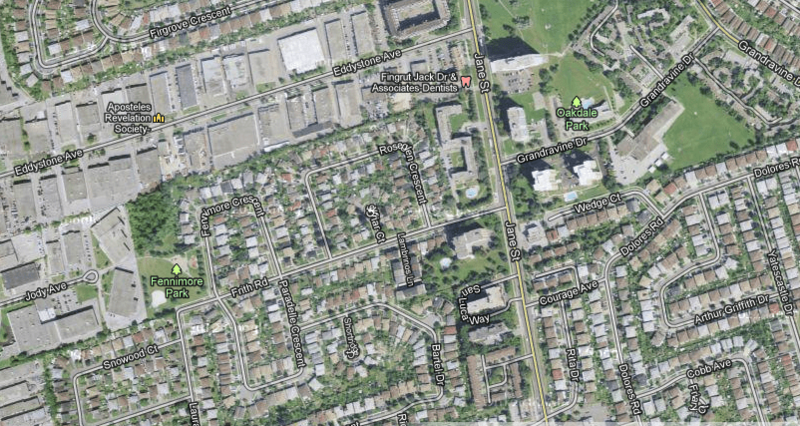 Does the whole trees-as-a-reference point even make sense in a Canadian context or is it more zoning and transit that provide the contrast? So many more questions can come from this and it’s worth thinking about at the very least when it comes to creating an immersive experience and a believable environment for games.